Seeme & Liz > Parenting Tips (0-2 year olds) > Teach Your Baby Sign Language: It’s Easier Than You Think! 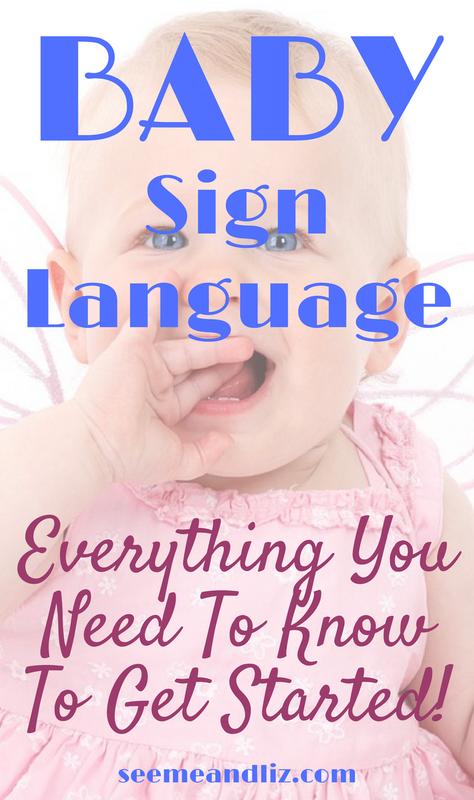 If you have already read my article Baby Sign Language Basics – What you need to know! then you are quite aware of the many benefits that baby sign language has to offer as well as some of the common myths you may encounter. 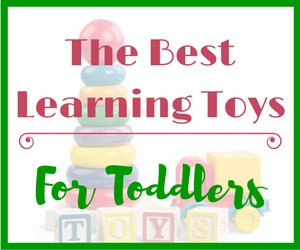 Today I want to share with you how you can teach your baby sign language! You do not need to be an expert in American Sign Language (ASL), as a matter of fact, you do not need any experience with sign language to get started. I am a certified Baby Sign Language Instructor and do not have any ASL training. I can assure you that anyone can do this! I will now outline for you just how simple it is to teach your baby to sign by answering some common questions most parents have. Near the end of the article I will tell you about the 10 Steps To Successfully Signing With Your Baby! How Old Should My Baby Be When I Start Teaching Him Sign Language? This is a very common question. You can start signing with your baby at any age. If you think about babies with deaf parents, they are exposed to sign language as soon as they are born. It is just like talking. You start talking to your little one as soon as they arrive (or even while still in the womb). However, as with speech and language development, it will take time for your baby to sign to you as a form of communication. Most babies start signing to their parent’s around 8 months of age. Some will start as early as 6 months while others are closer to 12 months. The earlier your baby is exposed to sign language the better the chance that they will start signing earlier. How many signs should I teach my baby? If you are not trying to teach sign language as a second language, then I always suggest just choosing a few key signs. Babies can communicate a lot with 25 to 50 signs. There is no need to go overboard. Parent’s often become overwhelmed when they feel that they need to learn the sign for every word they say to their baby. In my classes, parent’s learn 6-8 signs a week over a 6 week period. What is the difference between baby sign language and ASL? Baby sign language is basically ASL with a few variations. 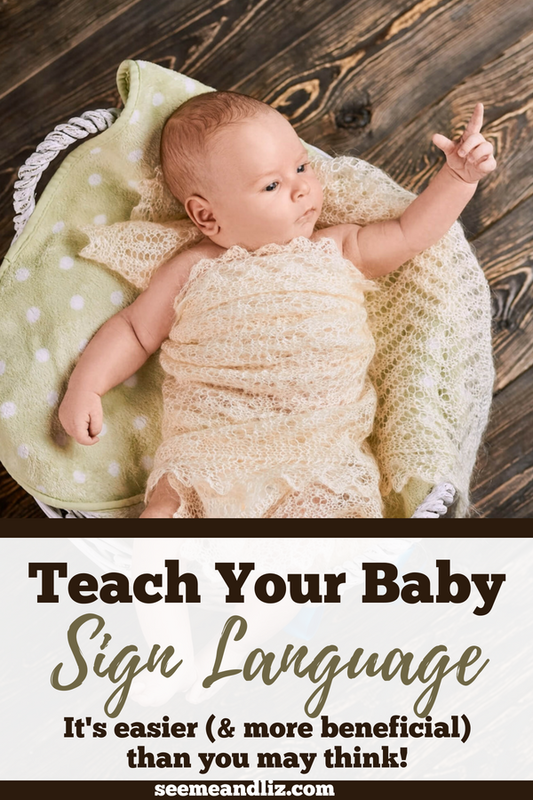 If you are only teaching your baby how to sign so that they can communicate with you earlier, then don’t get too hung up on the sign being ASL. Some ASL signs require the use of both hands or varied movements with the hands/fingers. This can be tricky for a small baby to do as their ability to independently move their hands and fingers as an adult does isn’t quite there yet. Baby sign language simplifies some of the more complex signs, making them easier for your baby to do. In my classes I often told parents to just make up a sign if they didn’t know the actual sign. As long as the parents/caregivers know the sign, then that is all that matters. If you want your child to be able to communicate with members of the deaf community who use ASL, then it would be best to focus on ASL signs. What signs should I start with? This is where my background as a speech-language pathologist comes into play! Most parent’s are told to start with “more” as a first sign. It is easy to do, simply touch your thumb to all fingers on both hands and then bring your hands together – just like in the picture below. Babies catch onto this sign rather quickly. However, the drawback is that this sign is usually taught around food. Therefore, your baby may end up signing “more” anytime she is hungry. This will not get rid of your or her frustration. I also avoid the sign for “please” as a first sign for the same reason. “More” and “please” are very abstract words and they are meant to be accompanied with other more descriptive words. A child signing “more” with no other sign, or simply saying “more” randomly does not tell you what he wants more of. I also avoid teaching the signs for “yes” and “no” because I would rather my child nod or shake his head as everyone around him will know what that means. Of course, as previously mentioned, if teaching ASL as a second language is the goal, then go ahead and teach these signs. I recommend you start with concrete signs, so nouns and verbs. Once your child is able to do a few of these signs (5-10) then you can add some abstract signs such as “more”, “please”, “thank you” as well as signs such as “hurt”, “hot”, “cold”, etc. 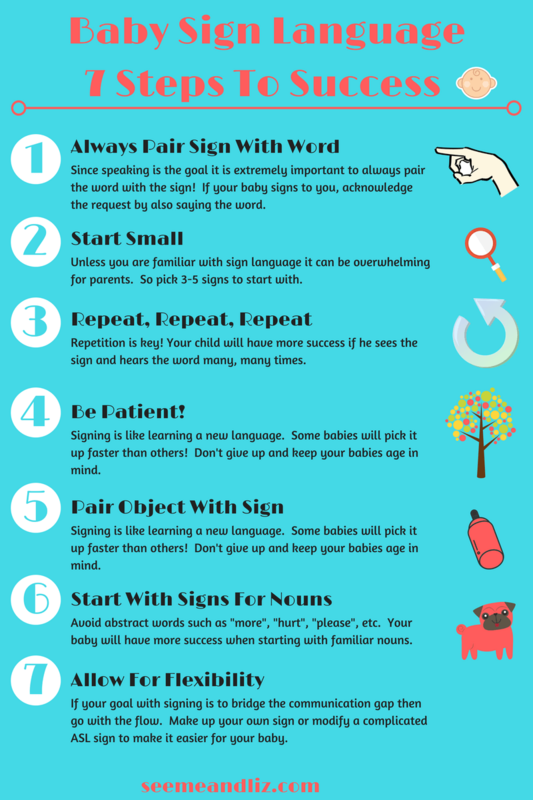 If you follow these steps, you should have no problem incorporating signs on a daily basis and watch your baby’s expressive language blossom! (yes, signs are part of expressive language). Your baby needs to hear words, first and foremost, in order for him to speak. Seeing the sign and hearing the word at the same time also allows your child to make a connection with the 2. Once your baby starts signing to you, make sure that you respond with the word for the sign that she used. This will make it easier for you to remember to use the signs. 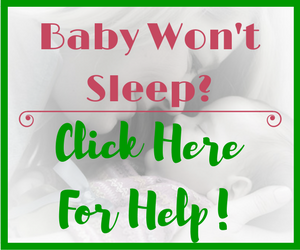 Don’t worry about your baby getting overwhelmed if you are comfortable starting with more. Just like talking, you speak freely with your baby, you don’t just pick a word here or there to teach her. Once you are confident in the signs you decided to start with, and you know that you are incorporating them each time you say the word, then add a few more. Repetition is so important for learning. A baby/child needs to hear words 100’s of times before he will use the word spontaneously. The same goes with signs. If you only use a sign here and there, then it should not come as a surprise that your little one isn’t using the sign. Repeat both the sign and the word as often as possible, while still keeping the interaction natural. You don’t want to sound like a broken record. If you start signing to your baby when she is very young (4 months or younger), you will need to be patient and wait a while for him to start signing to you. If however, you wait to introduce signs until your baby is older (8 months or more), she will most likely start signing back sooner. I encourage parents to start signing to their baby at a younger age because it allows for the parents to get comfortable with signing and it becomes part of daily life. 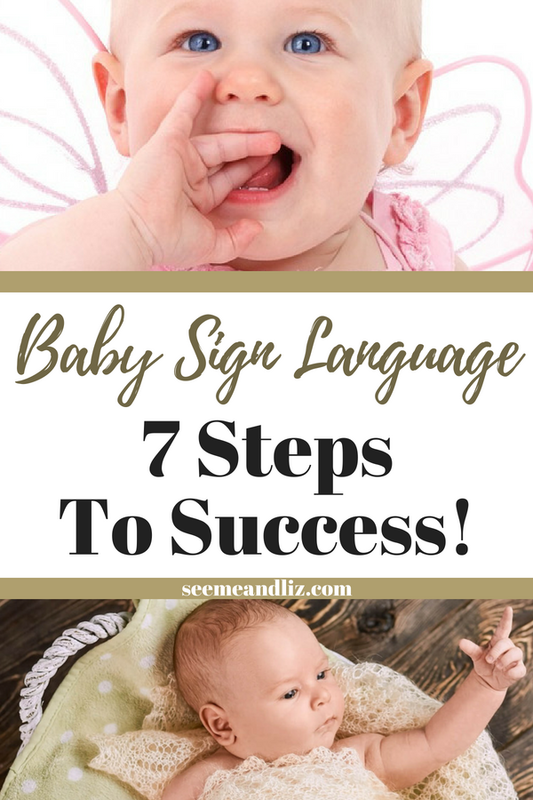 So when your baby is 8 months or older, it will be like second nature to you and there is a chance your baby will be already picking up a few signs. Whenever the object you are referring to is around, make sure that it is visible to the baby. Once he has seen it, then say the word along with the sign. If you are signing “milk” for example, make sure that there is milk visible for the baby to see. Once you feel like your baby knows what the word/sign means then you don’t need to have the object there at all times. This will only work for some signs and not all babies like this, so give it a try and if your baby is resistant then don’t push it. Basically you want to use your hands to guide your babies hands into the correct position for the sign. Your baby will not be able to make the sign the way you do at the start due to limited motor skills. As long as you know what they are trying to sign, just keep modeling the correct way to do the sign. As with speech, a child’s words aren’t clear when they first start talking. There is a lot of guess work involved! If your goal is not to teach ASL to your child as a language then feel free to make up signs. Some ASL signs are quite complicated so feel free to simplify the sign. Just make sure that those that interact with your child on a regular basis are aware of how you and your child are making the sign. Like learning a new language, if you are only hearing words here and there you will never learn to communicate in that language. The same goes for teaching a baby to sign. If you are only modeling signs here and there it shouldn’t come as a surprise that your baby or toddler isn’t using any signs. Some parents find it easy to pick a part of the day, routine or activity to first start focusing on signing to make it a habit. All babies eat, so I often suggest working on incorporating signs during mealtimes. Once you remember to always use signs during meals, then add in bath time. Continue to add in times that you will try to remember to sign with your baby! Scroll back up to “What Signs Should I Start With?” for the explanation of why certain words/signs should be avoided at the start. Do I Need To Take A Baby Sign Language Class To Get Started? The answer to this is actually no. There are many materials available to purchase for home use. I personally recommend the Baby Signs® Complete Starter Kit as it has everything you need to get started. Here I am teaching a baby sign language class! However, there are benefits to participating in a baby sign language class with your little one. If you are interested in taking a class, I highly recommend the classes by Baby Signs® (now known as Baby Signs Too). To find a certified Baby Signs® instructor in your area, please click here. (*I do not receive any payment for referring you to these classes. As an Independent Baby Signs® Instructor this is the program I always recommend*). If they don’t offer classes in your area, a quick google search should give you many results. 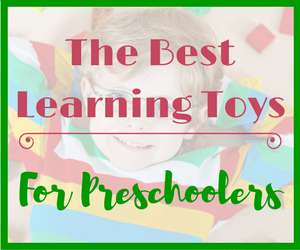 Make sure to find a class that isn’t too focused on ASL (your goal isn’t to teach your child a second language) and teaches only a handful of signs per class. No need to go overboard is signing with your baby is meant to be a transition until spoken words start happening. Just like crawling is a transition to walking! Let me know if you have any questions regarding teaching your baby sign language! Incredible! I could never imagine that it would be that easy. To be honest, I doubted at first that this would work but babies do learn amazingly fast! And now I don’t have to guess what my cousin wants to say! I showed my aunt your article and she is excited to try some signs with my baby cousin. Hopefully it will really help with the frustration and lack of communication. Signing with a baby does not need to be complicated at all! I am sure both you and your aunt will be amazed once your cousin starts signing back! Just remember, consistency is the key. If you only do a sign here or there, your cousin probably won’t pick up that sign. I never even thought about sign language and how effective it is to communicate, especially with babies. 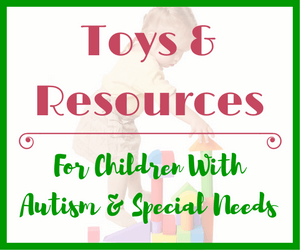 My youngest son has multiple disabilities and he is non-verbal. My family and I learned and taught him sign language. It has made things so much easier for him, and for us. I am grateful that we are able to communicate with him and many others in our community. And you are right, It wasn’t that hard at all, and we love it. You must be almost fluent in sign language! In your case there is a need to learn more than a handful of signs. When signing with a neurotypical baby or toddler, the goal is to bridge the communication gap until spoken words emerge. Therefore only a handful of signs (10 to 15 on average) are needed. I agree that that it’s a good idea to use and take advantage of both signs and sound. I’ve heard that the best way to ingrain something into your brain is by being exposed to the what’s being taught in different ways. I think it would be cool for anyone to learn ASL. I’m just a bit surprised that you can help you child learn at such a young age. I agree, Zequek. Learning the same thing in different ways is helpful to everyone. ASL is considered an official language so it would be great if it was taught in schools. Babies pick up sign language easier than spoken language because it is both tactile and visual and it’s often easier for a baby or toddler to make a sign (or approximation) than produce a string of complex sounds to form a word. I know some people who teach their babies sign language so that they cry less and learn more about appropriate communication early on. I have even been thinking about doing that with my own baby and so I really appreciate the 7 steps that you list here. I especially like your tips about pairing the word with the signing and saying the word as well. I feel that doing that would allow the baby to learn both how to sign and to associate words with things too. There are many reasons for signing with a baby, the most common being to reduce frustration for both the child and the parents as well as strengthening the parent/child bond. From a speech and language perspective it is crucial that you always pair the sign with the word since the goal is to get the child speaking, eventually dropping the signs. It is also very important for the parent to say the word that the child signs, so that the spoken word is always emphasized. I always recommend the “Baby Signs Starter Kit” to parents who aren’t familiar with sign language and want to get started! Thank you for the help! I’ll look at the kit so that I am better equipped! This is a very informative article, thanks! I never taught my children sign language but my sister did, and there was a huge difference in how we communicated with our little ones. I would recommend teaching sign language to any new parent. It will make things so much easier those first two years! You’re welcome Amanda! I am glad to hear that you agree that teaching sign language can be positive for both the child and parent even though you did not teach it to your children. There is absolutely nothing wrong to not teaching your children sign language either though. Where were you when my daughter was an infant? Or my grandkids? I sure could have used a lot of your ideas back then. Baby sign language is an intriguing concept. Word association is very important in an infant’s (and toddler’s) life. Had I known about baby sign language way back when, I’m sure their communication skills would have advanced much more quickly! Your article on REI is also great food for thought. From what I gathered, you are not completely in agreement with this form of parenting. Do you think you could write an article that incorporates REI with more traditional parenting techniques? I can see definite pros and cons. Despite the fact that baby sign language has been around for quite some time, it is still unknown to many parents. It is definitely not something that everyone needs to do, but there is no harm in signing with a baby. In fact, as my article states, there are actually many benefits. Thanks for checking out my article on RIE parenting. You are right, I do not agree with all of their beliefs on how to best raise a child. I was actually thinking of writing an article discussing both RIE parenting vs. attachment parenting. In my opinion these 2 styles of parenting are on opposite ends of the parenting spectrum with traditional parenting falling somewhere in between. I wasn’t sure if people would be interested in this, but you have given me something to think about. 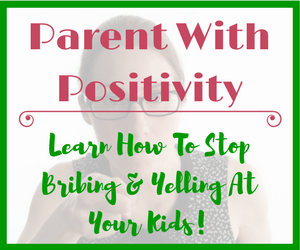 There are probably many others out there that would like to hear the differences in parenting styles and then they can choose what works best for them. I enjoyed reading your article on how to teach sign language to your baby. I used to work with special ed students and their parents. Many of my students had autism and little to no verbal skills. Many were nonverbal. Therefore, at a young age, the child was taught some ASL so he or she could communicate with parents and teachers about what they need or want. This increased their level of happiness and comfort and decreased their frustrations and meltdowns. 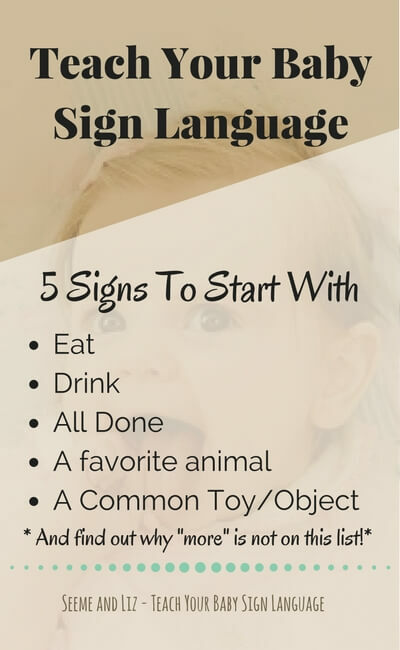 You mention about teaching the baby sign language when one or both of the parents were deaf, but also if your baby is born deaf, it is wise to begin teaching sign language as soon as possible. Thank you for the enjoyable article. Thanks for your comment Stephanie. You are right, whenever a child has a disability that affects their ability to speak it is very important to teach them an alternate form of communication. This can be something like teaching them baby sign language or teaching them to give a picture that represents what they want to say. I didn’t go into specifics for special need populations in this article as it is meant for parents and caregivers of children with typically developing language skills. A very,very interesting article. I thought that teaching a baby sign language would be really difficult but as you point out it’s really not! I didn’t think about the situation with deaf parents and their kids – makes perfect sense. It is actually like teaching them to talk…no different! I think there are many people who feel that teaching a baby to sign is more difficult than it actually is. First of all, a parent/caregiver does not need to know ASL as a complete language. You really only need to choose about 10-20 Signs that would be the most motivating for your child. The real key is consistency on the part of the parent. It’s not the baby that isn’t interested in signing (like I hear so often) it is the parent. I have to disagree with Andy’s comment as well, although I’m no pro. But I don’t think Andy is either, so we’re even, here. I can’t see how signing to your baby could be a bad thing. That would be no different than saying, speaking to your child 2 languages as a baby is a bad thing. Any time you can educate early, I believe it should be done. As long as the parents continue to stimulate the child with actual speech interaction, I really don’t see how this could hurt. I plan on, at the very least, teaching my child another language. I’ve always wanted to learn sign myself, but I guess I never considered to teach it to a baby. Anyway, thanks so much for writing this article. I think to teach your baby sign language, is a great thing. I’ll be sure to favorite this page and come back to read more. You are right on when you say that teaching a baby to sign is no different than teaching another language. The only difference is that most people aren’t teaching sign as a complete language. I actually encourage families to only pick a handful of signs in order to bridge the gap until a child can speak. There are many children who only have a very small handful of words until they are 18 months old. You can just imagine the frustration these children will have when trying to communicate. This is often why young children hit and bite. They don’t have any other means to express themselves. Like you said, as long as you are constantly speaking to your child, there is nothing wrong with signing. It is true that girls can speak a bit before boys, but that is not always the case. And by “a bit” I mean maybe 1-3 months earlier, not 6 months plus as I have heard some people suggest. As for educating early, I agree and disagree. Right now there are many, many so called “educational” materials on the market for babies and toddlers. One such program is “Your Baby Can Read”. I do not agree with these types of programs. There is really no reason why a baby would need to read. A toddler shouldn’t even know how to read. And there are plenty of studies showing that a child who can read at the age of 3 isn’t necessarily better off than a child who learned to read at the age of 6, when you compare these children later on down the road. My issue with “My Baby Can Read” is that it is basically teaching children memorization skills. This is not how one learns to read. They are not using their “reading” skills in a functional way to enhance communication. Anyway, enough about that. I think I may need to write a post about that. My site is all about children learning through play and building their vocabularies as vocabulary size in the early years is one of the best indicators of future learning success. Communicating through sign enhances a child’s early vocabulary skills. 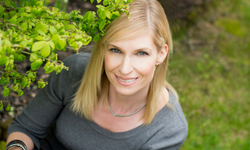 Make sure you read my post Baby Sign Language Basics – What you need to know! as it has links to some of the research that has been done regarding baby sign language. Thanks for sharing this great information with me. I really like the idea of teaching a baby to sign. I think it could really be beneficial for a parent/baby relationship. I’m sure it’s also beneficial for a child’s mental developement as well. I wonder what the long term benefits of this are. Or are there any long term benefits in your opinion? 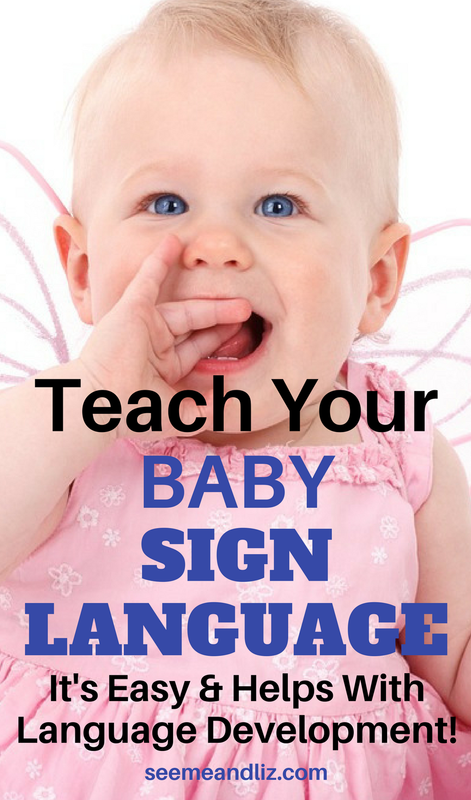 I am happy to hear that you found the information regarding teaching your baby sign language helpful. Yes, it is beneficial to a child’s mental development. 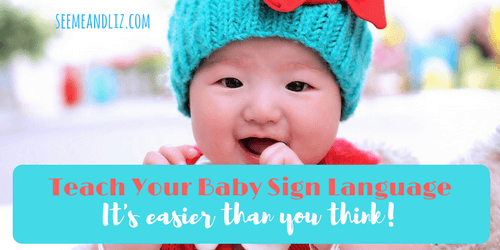 If you check out Baby Sign Language Basics – What you need to know! you can see what some of the research is saying. As for long term benefits, they are more short term. Studies have found that children who signed as babies have better language skills when they are between 3 and 4 years old. I don’t think enough studies have been done beyond that. Also, many parent’s just introduce a few signs to help ease some of a child’s frustration with not being able to communicate. It would be different for a child exposed to signs as a complete language like ASL (American Sign Language). This child would be learning a second language. Since signing is a tactile/kinesthetic mode of communication, different areas of the brain are accessed which are not used during spoken language. There are definitely many benefits to teaching your baby sign language, however you must be very committed to doing it. I have met many people who told me “I tried teaching my baby to sign but they weren’t interested”. To me this is like saying “I tried teaching my child to speak but he wasn’t interested”. When I hear these types of comments, I know that the parent probably only signed here and there and didn’t make it a habit. Repetition is the key! I have to admit as a parent I do not agree with this as a sole method of communication. If your child has speech or hearing difficultys then fair enough this is excellent material for them. Being the father of a healthy baby I can not see the merit in teaching my son this as I want him to learn how to communicate verbally and have heard storys about babies communicating like this in the first instance and the parents having later trouble getting them to talk. Im sorry to disagree with you but that is my opinion. Thanks for your comment Andy. Did you read my other post about the benefits of teaching sign language to your child? Here is the link Baby Sign Language Basics – What you need to know! Teaching a hearing baby sign language is definitely not meant to be a sole method of communication. Perhaps you misunderstood the article. As my background is in speech-language pathology I can assure you that my goal is always to get children to speak. Please read some of the research I have linked to. It will explain why sign language is beneficial . Some studies have found that when a baby signs they are accessing areas of the brain not used by babies who don’t sign. In a way it is like teaching a second language (ASL is an official language now). I signed with my son and not with my daughter and there were some pretty big differences. He had fewer tantrums because he could tell me exactly what he wanted. Even at 10 months of age. And he also spoke earlier than my daughter did. Think about signing as crawling. The ultimate goal is that the child will walk and when they are ready they will walk. The same goes with signing. It is a transition to speech. As long as you are always using the word when you do the sign there will be no issues with language development. Another positive is that signing helps children raised in bilingual homes. The sign always remains the same and helps build a connection between 2 different words (for example “hat” in English and “chapeau” in French yet the sign is the same for both). Unfortunately many people are misinformed about signing with a hearing baby and there are many myths out there. I am really trying to educate people with this information. However, if you choose not to sign with your baby that is completely fine too. I just want to dispel they myths around baby sign language.